Wow, doesn't it seem as if something really special and unique has taken place in the world. There has been a subtle shift that will ripple throughout the world. Every generation has a list of world-defining events. For my parents, it probably included the assasination of JFK. For me, until now, it was the senseless destruction of the Twin Towers. Watching the election coverage on Tuesday night left me with a feeling of real change and purpose. The election of Barack Obama signifies a fundamental shift in the attitude of the American people, and by definition, any member of the free world. Weirdly, the race issue isn't the reason I feel this sense of change. It's more to do with the fact that we are now ready to move away from the doldrums and weirdness that has surrounded us for the last period of time and move forward. 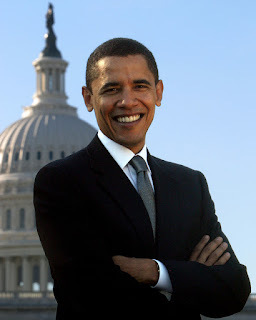 In a choatic time, Obama's election message and demeanour was steady, calm yet fresh and exciting. He has promised so much, now he must deliver. I, for one, don't doubt him.